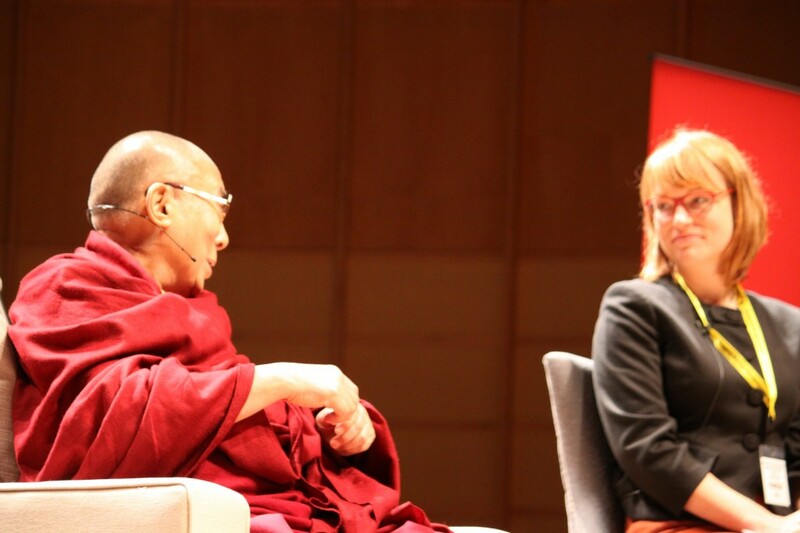 On October 22, 2014 Prof. Kiley Hamlin took part in the sold-out event Educating the Heart in the Early Years: A Dialogue with the Dalai Lama at UBC’s Chan Centre for Performing Arts. 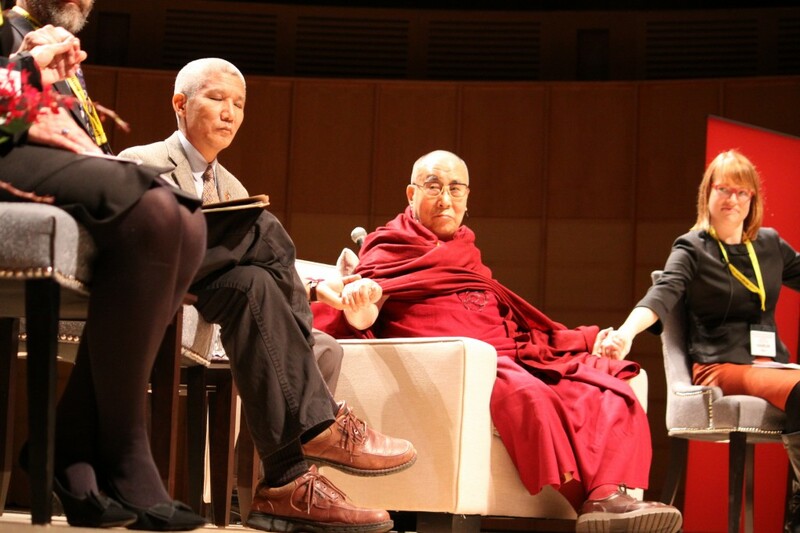 This unique dialogue featured a keynote address by the Dalai Lama and a panel of leading researchers from UBC who discussed the science behind the Dalai Lama’s belief that consciously teaching children to be compassionate and altruistic in their earliest years has a profoundly positive effect on their social, emotional and spiritual well-being throughout life. Dr. Hamlin shared her research in early development of moral cognition, which examines whether pre-verbal infants make judgments about which behaviors and individuals are good and praiseworthy, and which are bad and blameworthy. 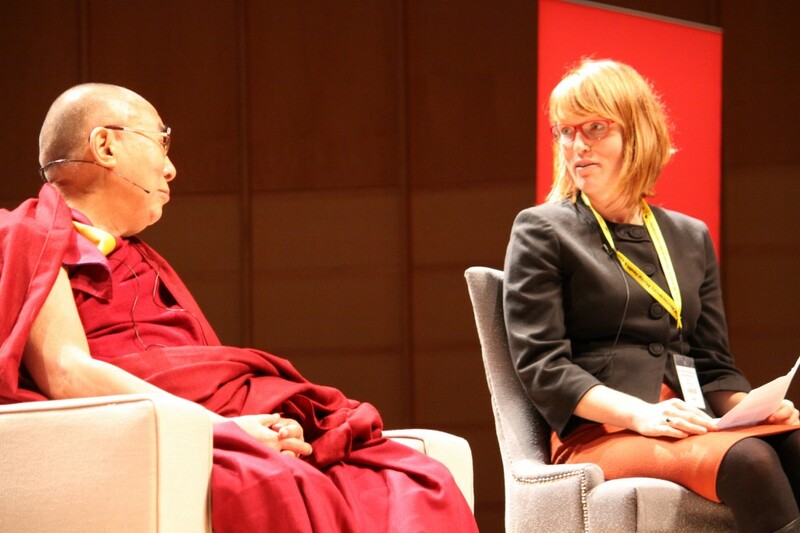 Her studies suggest that infants come into the world liking niceness and appreciating generosity. Photos courtesy of Martin Dee and Michael Krausz. This entry was posted in Research and tagged Kiley Hamlin on November 4, 2014 by Bonnie Vockeroth.